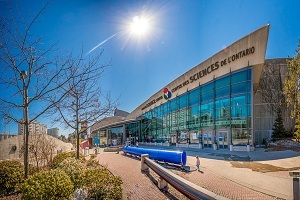 Welcome to the Official Attendee Housing Site for the 8th International Conference on Fisheries & Aquaculture, which will be held at Park Inn by Radisson Toronto Airport West, ON in the festive city of Toronto. 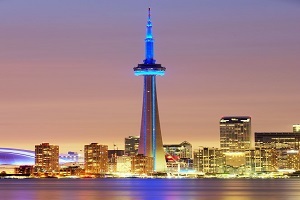 Toronto is the most populous city in Canada, and the capital of the province of Ontario. In 2011, Toronto had a population of 2,615,060, making it the fourth most populous city in North America, after Mexico City, New York City, and Los Angeles. The Greater Toronto Area (GTA) is the most populous metropolitan area in Canada with 5,583,064 people living in the census metropolitan area as of 2011.Classified as an alpha global city by the GaWC, Toronto is an international centre of business, finance, arts, and culture. Located in Southern Ontario on the northwestern shore of Lake Ontario, Toronto is situated on a broad sloping plateau intersected by a vast network of rivers, deep ravines, and urban forest. 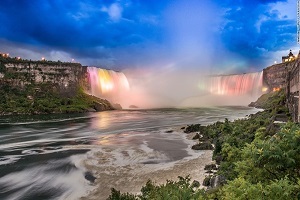 It anchors the Golden Horseshoe, a densely populated region surrounding the western end of Lake Ontario that is home to 8,686,923 people, or around 26% of the entire population of Canada. The cosmopolitan and multicultural population of Toronto reflects its current and historical role as an important destination for immigrants to Canada. Toronto is represented in seven major league sports, with teams in the National Hockey League, Major League Baseball, National Basketball Association, Canadian Football League, Major League Soccer, Canadian Women’s Hockey League and W-League. The National Football League’s Buffalo Bills used to play select home games in the city from 2008 to 2013. The city’s major sports venues include the Air Canada Centre, Rogers Centre (formerly SkyDome), Ricoh Coliseum, and BMO Field. Toronto is an international centre for business and finance. Generally considered the financial capital of Canada, Toronto has a high concentration of banks and brokerage firms on Bay Street, in the Financial District. The Toronto Stock Exchange is the world’s seventh-largest stock exchange by market capitalization. 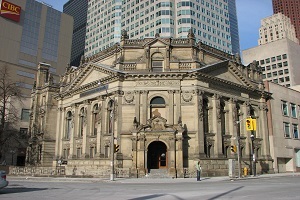 The five largest financial institutions of Canada, collectively known as the Big Five, have national offices in Toronto. 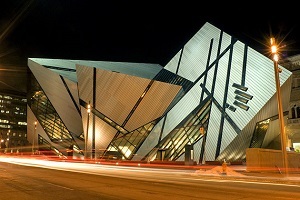 The Royal Ontario Museum (ROM) is a museum of world culture and natural history. The Toronto Zoo, is home to over 5,000 animals representing over 460 distinct species. The Don Valley Brick Works is a former industrial site, which opened in 1889, and was partly restored as a park and heritage site in 1996, with further restoration and reuse being completed in stages since then. City shopping area’s include the Yorkville neighbourhood, Queen West, Harbourfront, the Entertainment District, the Financial District, and the St. Lawrence Market neighbourhood. The Eaton Centre is Toronto’s most popular tourist attraction with over 52 million visitors annually. Greektown on the Danforth is home to the annual “Taste of the Danforth” festival which attracts over one million people in 2½ days. 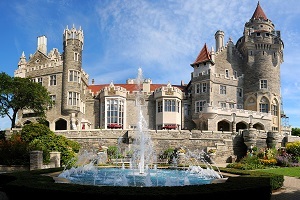 Toronto is also home to Casa Loma, the former estate of Sir Henry Pellatt, a prominent Toronto financier, industrialist and military man. Other notable neighbourhoods and attractions include The Beaches, the Toronto Islands, Kensington Market, Fort York, and the Hockey Hall of Fame.